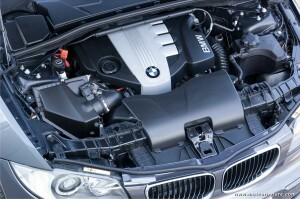 Engines of the year: Germans rule! The International Engine of the Year Awards were announced a bit late this year. They’re usually late in spring, but they were given in early summer this year. But that’s about the only change from last year. As always, german manufacturers pocketed most awards. 9 out of 12. 4 went to BMW, who is the absolute leader, 3 to Volkswagen-Audi, and finally Mercedes got 2. Results are as follow, and shown on the left is the engine bay of a BMW 123d, with its 204-hp 2-liter twin-turbo diesel. A very impressive unit that sadly, only european drivers can enjoy.